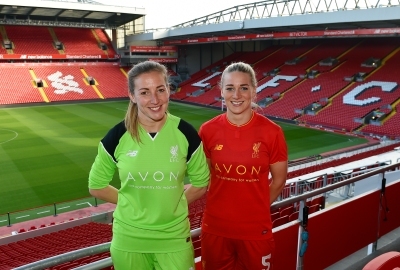 Liverpool Ladies Football Club has announced a new shirt sponsorship deal with women’s beauty and cosmetics company, Avon Products Inc, ahead of the WSL Spring Series. The three-year deal is the first agreement of its kind for LLFC and will see Avon become the first independent shirt sponsor to grace the front of the Reds shirt. For the first time in its history, Avon will become the first female-focused brand to sponsor a ladies football team. Through the partnership, Avon will also become Liverpool Ladies FC’s Principal Partner, as well the Club’s Official Ladies Beauty Partner. The Reds will wear team kit featuring Avon’s logo for their first game of the WSL Spring Series against Yeovil Town Ladies at Huish Park on 23rd April, 2017. Billy Hogan, Managing Director and Chief Commercial Officer, Liverpool Football Club, said: “We are thrilled to welcome Avon to the Liverpool Ladies FC family as their first Principal Partner. Liverpool Ladies FC Manager, Scott Rogers added: “We are delighted to be able to team up with Avon ahead of the WSL Spring Series. Andrea Slater, General Manager of Avon UK said: “Avon’s purpose is to inspire and create a world with more empowered women. “This sponsorship aims to inspire women all over the world to drive real change in women’s football – breaking down social barriers, challenging stereotypes, and empowering young girls and women to play the sport that they love. “This sponsorship is another stride forward in our support for women and one that we’re approaching with whole hearted commitment as we embark on this new and exciting venture together.